This year’s World Series of Poker Europe (WSOPE) schedule shows little change from 2011 with seven bracelet events still included for the series that returns to the Hôtel Majestic Barrière and Casino Barrière de Cannes Croisette in Cannes in late September. This autumn’s series will kick off on Friday, September 21, with event #1, a three-day, €2,700 buy-in Six-Handed No-Limit Hold’em tournament, and ends on Thursday, October 4, with the conclusion of the five-day, €10,450 No-Limit Hold’em Championship event. As France only allows Hold’em and Omaha to be played within their borders, the WSOP organisers have chosen to stick with the seven bracelets for the sixth staging of the WSOPE – which is still the sole European event to be shown in the USA – and make only minor alterations to the buy-ins, although an extra 48 side tournaments have been added to the schedule. Cannes attracted record-breaking numbers last year for the WSOPE’s first visit to the Cote D’Azur and there is every likelihood new highs will be set again this autumn at what is arguably the most beautiful location of any stop on any tour. Casino Barrière de Cannes Croisette chief executive officer Alain Fabre is certain Cannes will once again be ready for the glamorous event – which was only recently announced as The Best Event of the Year at the European Poker Awards – saying: “We are pleased to welcome back this event to the Cannes Barrière resort. 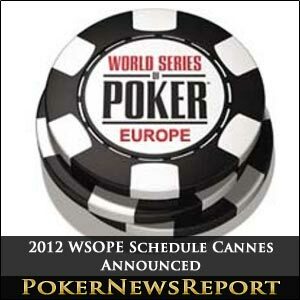 “The first edition of the WSOPE in Cannes was a great success, an-award winning event that we took great pride in. WSOP vice-president Ty Stewart is, without doubt, in agreement with Fabre and is thrilled to see the series back in France, saying: “We can’t wait to return to the Cote D’Azur in 2012. We have moved up the schedule a couple of weeks to take better advantage of the great weather and all Cannes has to offer. Swiss amateur Guillaume Humbert pocketed €215,999, or $288,545 if you prefer, for taking down the opening €2,680 buy-in Six-Handed No-Limit Hold’em event last year when seeing off 359 opponents for his first bracelet – and it is almost guaranteed that this mark will be surpassed come September. 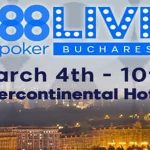 However, the two €10,450 buy-in events will attract the biggest attention from fans, players and the media, with the second staging of the Mixed-Max tournament – which will see the event’s format alter after Days 1 and 2 – and the Championship event the prime pull for most. Again, these tournaments will almost certainly attract even bigger numbers than last year, when the €10,400 buy-in main event recorded 593 entries as New York’s Elio Fox beat Englishman Chris Moorman heads-up to take home €1,400,000, and the Mixed-Max pulled in 125 entrants as Florida’s Michael ‘The Grinder’ Mizrachi earned €336,008 when defeating Canada’s Shawn Buchanan in their head-to head clash. 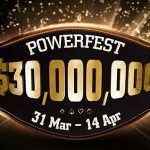 But it’s not all about big fields as the WSOPE organisers will be hoping for strength in depth, too, with the race to be crowned the WSOP Player of the Year not reaching a conclusion until after the main event ends on October 4. Oklahoma’s Ben Lamb – who enjoyed a fantastic WSOP last summer as he won event #42, a $10,000 buy-in Pot-Limit Omaha Championship, in Las Vegas for $814,436 – was the eventual winner of the PoY after Moorman’s elimination in the main event, so the WSOP will be wishing for a close race this year to push up the numbers of high-profile players making their way to Cannes. This year’s WSOPE will also be televised throughout the globe after last year’s fifth staging of the tournament series was broadcast by Lucky Jack, RTL9 and Direct8 in the host nation, and by ESPN across the rest of the world.